We are a small team of devs, programmers and designers that make mobile games in Romania. Check out our games on Google Play Store and iOS App Store. Have fun playing! Equip hi-tech armors with specialized weapons to take out the invading enemy robots in this fast paced shooter game. 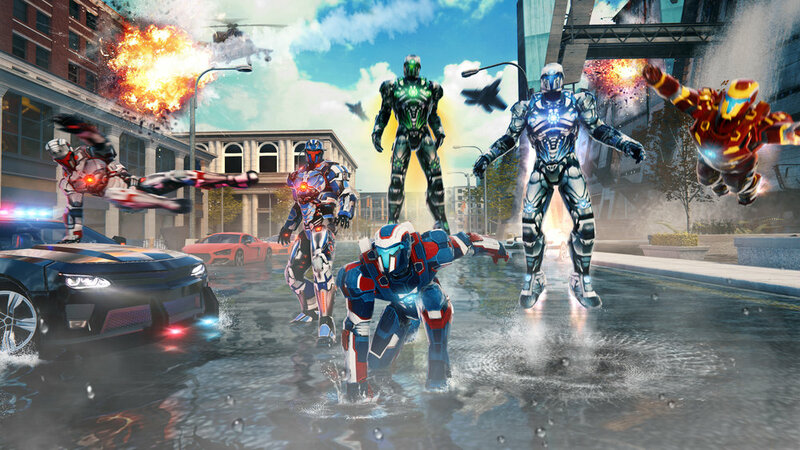 Become the Iron Avenger in our fast paced jump game with unlock-able armors, multiple environment stages, realistic graphics and angry enemies ready to shoot you down. Control the Bat Titan - one of the most iconic super hero duos to fight in battles and defeat evil villains. Alternatively, join your friends in multi player story co-op! Villains with various power and weapons attacked the city lead by their bosses.